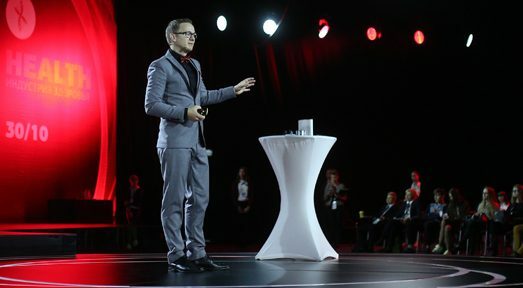 Dr. Bertalan Mesko, PhD is the Medical Futurist. As a geek physician with a PhD in genomics and Amazon Top 100 author, he envisions the impact of digital health technologies on the future of healthcare, and helps patients, doctors, government regulators and companies make it a reality. Dr. Mesko was featured by dozens of top publications, including CNN, the World Health Organization, National Geographic, Forbes, TIME magazine, BBC, and the New York Times. His popular blog, MedicalFuturist.com has more than 3 million readers, and he is one of LinkedIn’s top voices in healthcare. “Disruption” sounds less catchy when mistakes can cost lives. But in our efforts to protect patients, we’ve hobbled our ability to innovate, which in turn hurts patients by keeping treatment breakthroughs out of their hands. SPEAKING.COM: You have said that you sometimes feel like you’re living in a sci-fi novel because of all the fantastical new medical technologies that are being developed. Could you give us a few examples of specific devices that are the most imaginative? MESKO: If you look closely, medical technology today is simply breathtaking. Surgeons are using 3D printed organ models to prepare for very difficult surgeries, and their surgical robots are so precise that they can peel a grape and then stitch the skin back on flawlessly. Patients in hospitals can stay with their loved ones virtually using virtual reality goggles, removing the stress and feelings of loneliness that often accompany extended stays in a ward. Cancer patients have greater chance of survival because oncologists are tailoring therapy to their tumor’s molecular makeup. A disabled patient recently walked down the aisle with the love of his life thanks to a medical exoskeleton. Scientists are even working to create the tricorder from Star Trek – a true medical multi-tool that can identify most disease with a simple scan. The problem is when we walk into the general practitioner’s office it’s hard to feel the same. This is what my work aims to change by talking with innovators, understanding the implications of what they’re working on, and then helping patients, doctors, and regulators make the most of them.